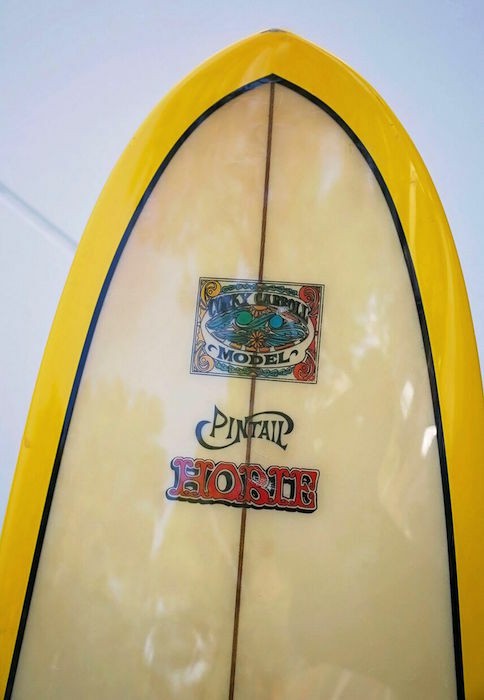 9’9 Hobie Corky Carrol Model made in the late 1960’s. 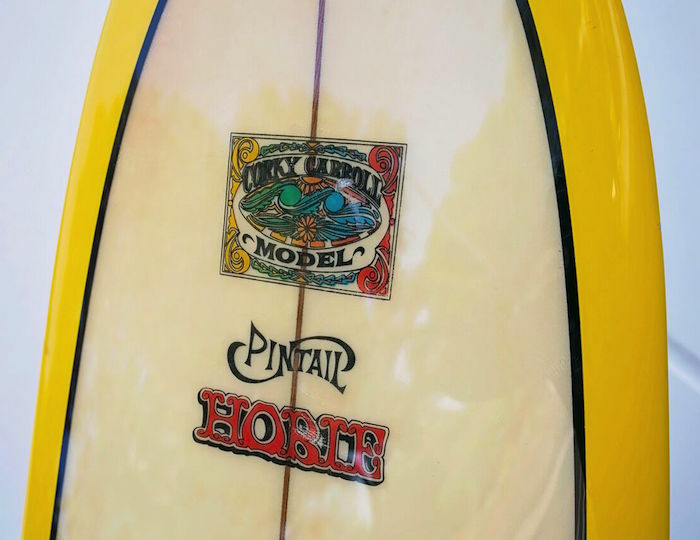 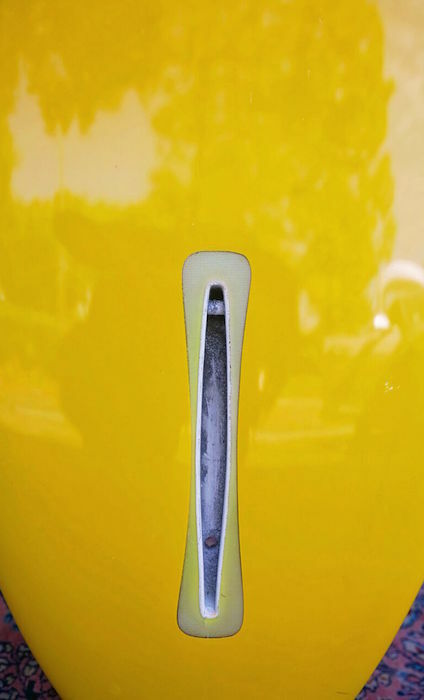 Yellow pigmented bottom and rails and psychedelic Hobie Corky Carrol logo. 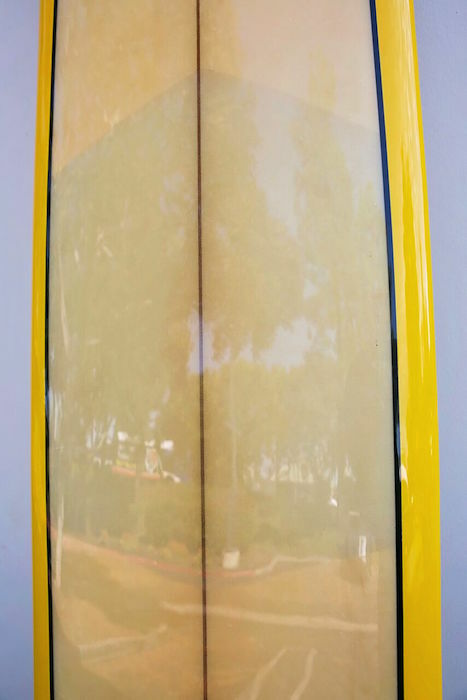 One of the first signature boards ever produced for the former world champion and first fully professional surfer. 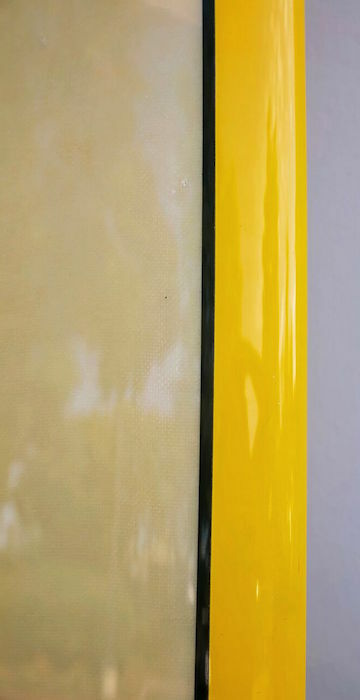 This board has been lightly restored with deck patch indicative of the late 1960’s. 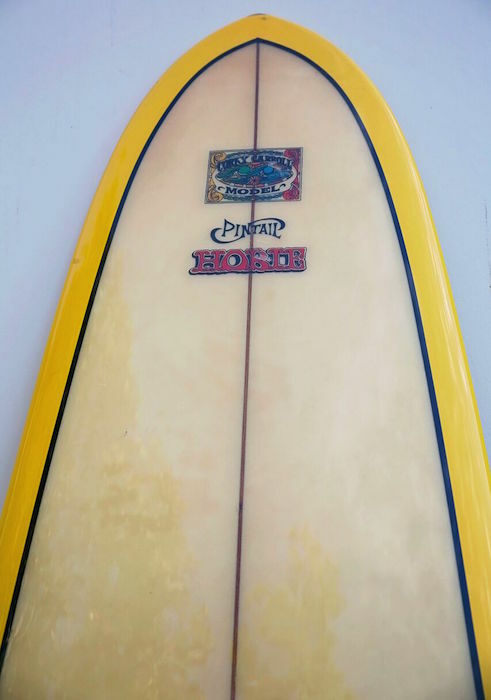 A fantastic piece of surfing history!